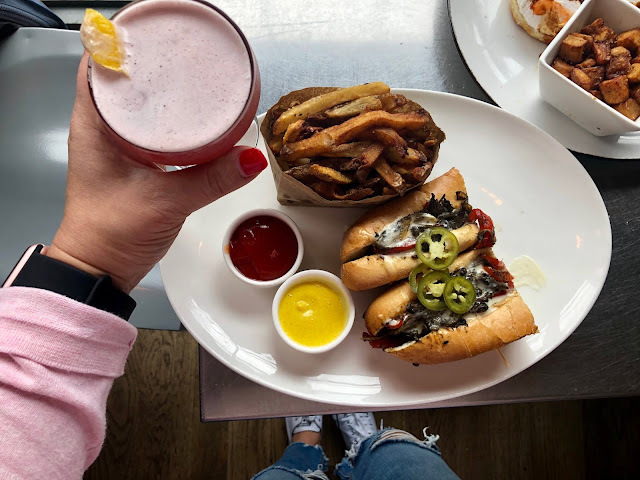 Baltimore - DC Spring Vibes and A Giveaway!! Don't let me drown you guys with all the killer spring vibes, I just couldn't help sharing them with you. I love this time of year so I go a bit overboard with the floral shots, I even have an Instagram account that is ONLY devoted to floral photography. It's a big big love of mine, as most of you know I was a floral designer for darn near 15 years. It was the only job I have ever had that never felt like a day of work, kind of like being an influencer. It's absolutely true what they say about feeling passion for whatever you do, it's the key to success for sure. Ok I'll stop chatting your heads off, we will make this post a mostly image post and let the flower shots do the talking. After all flowers are plain just good for the soul! My favorite flower is the Stargazer Lily, hence my Instagram username @DanaStargazerTruitt, and my flower page @_StarsFlowers, check them out and tell me what you think. If you don't follow yet please do. I look forward to your input/comments on the flowers shots. I'm also running a HUGE GIVEAWAY on my flower page as well, 2 people will win $1000 cash. Above is Piper and I in Mt. Vernon Baltimore Maryland, just across the street from the Washington Monument, and surrounded by magnolias. Below is another Magnolia shot in Druid Hill Park by the Baltimore Zoo, just outside of the Rawlings Conservatory. Piper was definitely trying to eat a bee she saw fly bye. The shot above is the Patterson Park Pagoda, which is also in Baltimore. It too is completely framed by magnolias in the riches shades of pink and purple. Last but not least is one of my favorite pictures of Piper to date, I call it Piper prancing through the tulips, and this too is at the Rawlings Conservatory. They always have thee most amazing flowers on display all year round. Doesn't Piper look absolutely gorgeous? Of course I am a bit partial to Pip and those tulips are so colorful, it's especially special because they all match her harness. Just a little bit of pink perfection before you head onto the GIVEAWAY info below. Well it's finally time for the GIVEAWAY, I hope I didn't bore you too much with my spring flower shots. An Iphone 7 or $500 Cash? I have teamed up with a handful of other amazing bloggers to give one person 1 of 2 amazing prizes!! 1. iPhone 7, open to any carrier, 64gb in your choice of color. Which one will you choose?? If you unfollow after the giveaway ends you will not be eligible for future giveaways ☺️ we will be running one month so make sure to turn on your notifications. The giveaway will run for 35 days, from 4/11/19 12pm est to 5/16/19 at 12am est. To enter just click on the above rafflecopter form and complete the many different tasks to double and triple your chances of winning many times over. You must be 18+ years of age and reside in the US, AUS, & CANADA to win. This giveaway is VOID where prohibited. The winner will be notified within 24hrs of the giveaway closing and he or she will have 48hrs to respond, or a new winner will be selected. Thanks so much for following and Good Luck 🍀 everyone!! I’m so excited about finally getting this post finished because it’s been one of the cooler trips I have went on in quite a bit, if you follow me on Instagram then you already know we went to Central New York. Why you ask? We found the most amazing little spot called Wellnesste, it’s the true cabin experience. Mind you the day we arrived there was already several inches of snow on the ground, then that evening a huge blizzard started and continued all day the next day. I remember saying I sure hope it snows so it’s super cozy and nice…..ha ha…be careful what you wish for. Seriously though the snow made it that much more amazing. 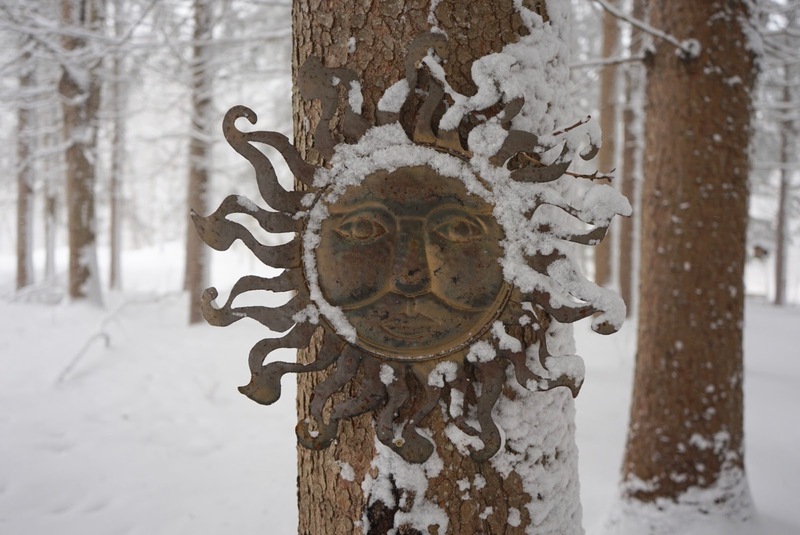 The entire property was snow covered and absolutely beautiful. 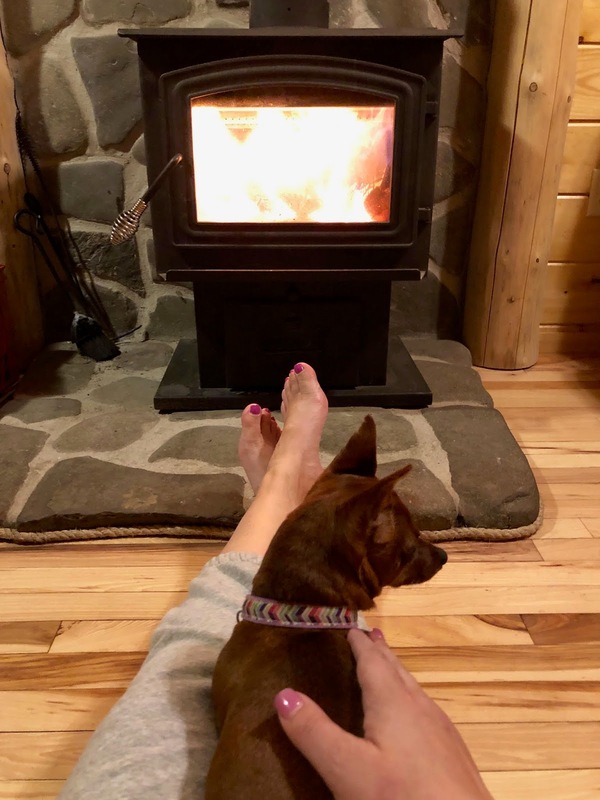 The Wellnesste Lodge’s 5 rentable cabins that are set back in privacy on 60 acres of land, it’s covered with animals, beautiful trees, trails, rivers, creeks, ponds and streams. The cabin we stayed in was called Wilson’s Cabin and boy was it comfy, homey and clean. It included all of the comforts of home like a fully stocked kitchen (all you need to do is bring the food), a full bathroom with a hot shower, comfy beds, books, games and much much more. If you’re like me and can’t live without your connections don’t stress, wifi is available and there are tons of plugs in the cabins so you can bring a radio or a small TV and some DVD’s. There was a wood burning stove in our cabin and plenty of wood right on sight. We kept ours burning the entire time so it was super warm and cozy, Piper loved it too because she posted up right in front of the fire the whole time we were there. Yes Piper went with us, I’m so pleased to say that Wellnesste is 100% pet friendly. She’s a member of the family so she goes with us everywhere, and wow did she really love running and playing in the snow. We honestly had no idea she loved it so much because we have never gotten more than an inch or two at home in her 1.3 yrs of life. Once we got to the cabin and settled in we headed right back out to grab a quick bite to eat and go to the grocery store because a blizzard of epic proportions was set to start that night at 10pm and we did’t want to get snowed in with no food. They were talking about white out conditions, and that’s something we didn’t want to be out and about driving around in the next day. The cabins are set back on a driveway way off the road and then down a hill, needless to say not the best drive to do on ice and snow. After we got back from the store we put everything away, started a fire and settled in for the night, and boy did we sleep good. It was an 8hr drive because of the weather and we were exhausted, I was also looking forward to the morning so I could explore the property with my camera. I would say we woke up at about 7-7:30 to thee most insane snow I have ever seen, at some points in the day there was no visibility due to the snow and wind. The word white out was thee perfect description, mind you they called for 70mph wins with the snow and 19 degree weather. 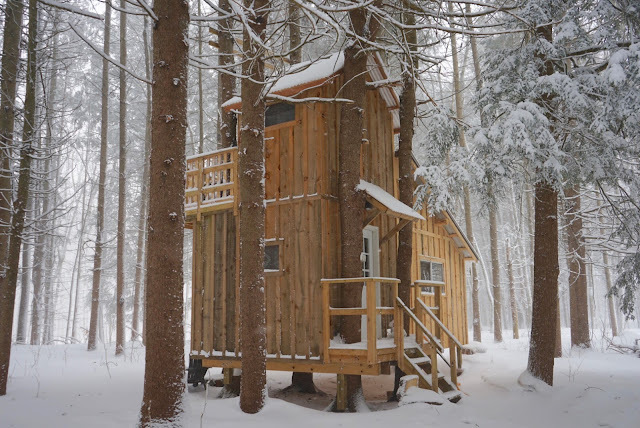 Once the sun was fully awake and showered I cooked us a big breakfast, then bundled up and set out to get great shots of the area, my first choice was the tree house cabin. It wasn’t far off from our cabin, just across the property snuggled back into the woods..It was so beautiful capped with snow and tucked in the tall trees, next to a stream with the snow falling from the sky…wow was all I could say. We definitely have to go back in the spring or summer, I can only imagine how green and lush it is then. By the time the snow stopped falling the next day there was over a foot on the ground, so we decided to stay on the property and schmy around in the cabin until the next morning, That’s the good thing about Wellnesste, it’s thee best place to recharge and take a break from all the craziness of everyday life. Once the roads were clear we headed out into the surrounding area to explore all the yummy choices she had to offer. Of course you know I hunted down some local ice-cream…we also went to the Turning Stone Casino where there was a great restaurant called Wildflowers. It was about 35-45 minutes away from the cabin and so so worth the drive, the food was amazing. For an appetizer we ordered the hummus plate with slices of what looked and tasted like tasted pita, wow was it good. It had artichoke hearts, olives, feta, roasted red peppers and onions piled high onto of the hummus. For the main course I got the short rib and Rob ordered the chicken, again both were phenomenal, as well as the apple martini I ordered. Definitely the best dinner we had while we had the whole trip, now for breakfast we went to a place called Slims which was great as well. 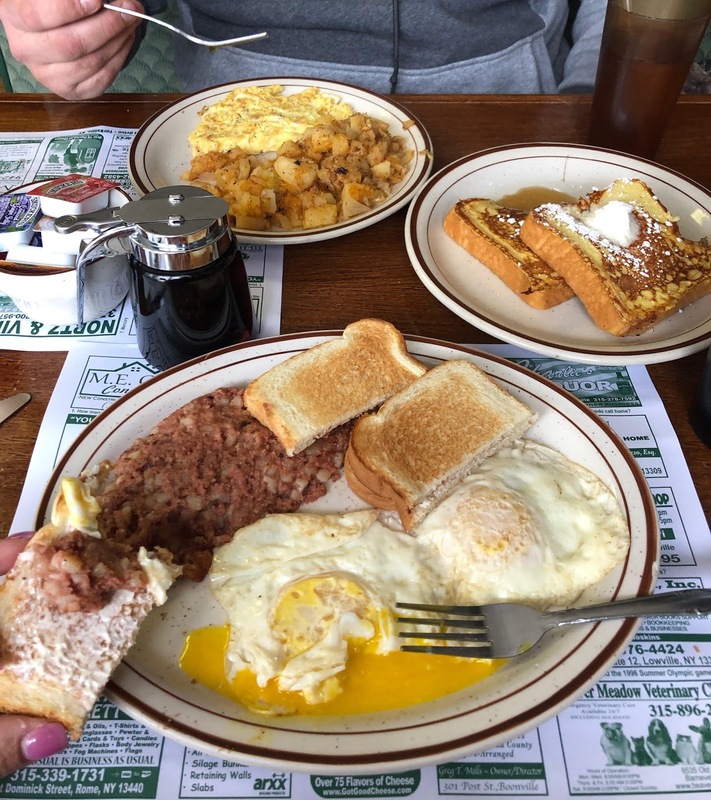 I love how it was only $15 for both of us to eat a huge meal, and the corned beef hash was very good. After breakfast we checked out a great little local ice-cream spot called Mercer’s, they have wine infused ice-cream that I was more than eager to try. Who would have thought that wine and ice-cream tasted so darn good together? They had favors like Cherry Merlot, Chocolate Cabernet, Peach White Zinfandel, Red Raspberry Chardonnay and more….like the Sparkling Strawberry made with Champagne which was ohhhhh so good. 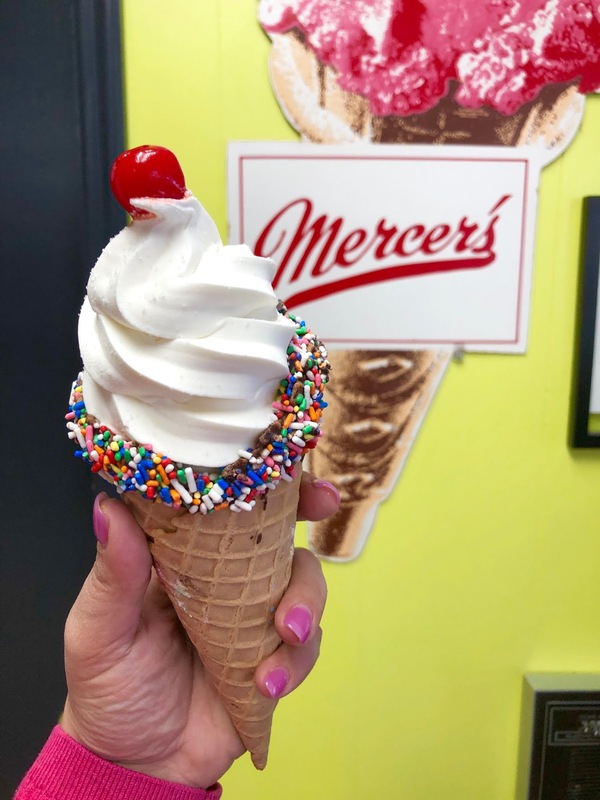 It doesn’t stop there, Mercer’s has tons of regular ice cream flavors as well as soft serve. I tried some of their vanilla soft serve and wow was it thick, rich and creamy. Happily I found out they sell their ice-cream all over the world with a couple locations in my area, I know where I’m going…lol! Just as we were leaving Mercer’s to head back to the cabin it started snowing again and really heavy, we had plans for dinner that night but decided to head to the grocery store instead and grab some stuff to make a big dinner at the cabin. I have to say thank goodness for the Mazda CX-3 that we drove to New York because we hit such a huge array of nasty weather and she plowed right through it like a champ. I definitely have a different opinion of all wheel drive now. See as most of you know Rob and I are currently car shopping because we plan to buy in about 6 months, this is why we tested the Mazda out for a week to see how it would handle. Not once did we slip in the snow, she may look a mess in the shot but wow did the CX-3 hold it's own. It's on the short list of serious contenders. Quick question that may help us out, what kind of car do you drive and would you recommend it? Let me know below because I really need some help, it's a big buy and will also be my first new car so as I'm sure you can figure I'm really stressed out about making the right choice. We didn’t want to drive in the yucky conditions at night, plus we had a couple of good movies so we just stayed in. It’s was definitely the coolest vibes….all cozy in the cabin with the snow falling and surrounding us outside, the fire burning while we at a great dinner and laughed at the movies. It’s an experience that I will more than try to recreate and know you guys will LOVE!! We were set to start heading home the next morning and were worried we may get snowed in, but that’s one thing I can say for central New York, they’re on top of their roads in the winter. the next day they were all clear for us to drive home. All in all we had a great 5 days at Wellnesste…we really loved how helpful and welcoming the staff was, they really know how to make you feel at home. We plan to come back in the warmer months when we can do more exploring of the trails and streams. There is so much to do in the general area, there’s also a book in the cabin that shows you all the good places for fun, restaurants, and museums, along with all the info you need to call or find your way there. You guys have to check out Wellnesste, there are so many amazing possibilities waiting for you in Central New York! !For more info check out their website www.wellnesste.com or follow them on Instagram @wellnesste. If you have any questions about Wellnesste feel free to sound off below or shoot me a DM on Instagram @DanaStargazerTruitt, also keep an eye on Instagram for more pictures on my feed. Luv you guys tons and have a wonderful week! I Answer My Most Asked Question! This post is sponsored by Sweat Coin, and all opinions and experiences are mine and mine alone! Hello everyone I hope you had a wonderful Valentine’s Day. As most of you know on Instagram I’m known as the Dessert Diva, I also have a crazy sweet tooth. Eating sweets is literally a hobby of mine, and one question I have gotten many times over is what I do to keep in shape? How do you keep yourself at the size you are now and eat so many sweets and high calorie items? Well I’ve decided to finally answer that question, but let’s not get it twisted I’m by no means a fitness blogger or health fanatic, I just stick to my daily routine to keep myself fit and healthy. Heart disease and high blood pressure also run in my family, so it’s best just to do what I can to prevent those issues. As I always say prevention is much better than reaction. There are a few tools that I keep at my disposal, these few things assure that I always get in a good workout. #1 The right workout gear, I know you’re thinking what is she talking about? Well think about it, you definitely aren’t wearing an aerobic shoe for running. You have to have the right gear for the right activities, I also know that when I wear gear I look and feel amazing in, it always puts me in the mood to put out my best which gives me the best results. #2 You MUST remain consistent, because consistency is the key to good results. I definitely recommend that you make a workout schedule and stick to it NO MATTER WHAT!! It’s the constant hard work that conditions your body to get to a healthy place and remain there as long as you keep putting the work in. #3 A good fitness watch and (or) app, I use an both an Apple Watch, the Nike fitness app. It was the first one that I ever used and liked because it gave me very specific and detailed info about my runs. The apps make a record of each step, the route you took, how fast you walked or ran, how many calories you burned and much much more. With these apps I’m able to keep track of all my workouts and set daily goals for myself, that way I can try and beat them the following week, or take new routes to see which is the best, or to keep it from getting boring. #4 Last but certainly not least, in fact it’s the most important tool I use….Sweat Coin!! This app is amazing because it literally tracks each step you take and pays you for it….YES you read correctly it pays you. At the end of each day the Sweat Coin app compiles all the steps you took and I'll say it again ..pays you for them. Then once you get your desired amount you can either transfer it to your bank, your PayPal or use it towards some of the amazing offers that have from day to day on the app. My daily routine consists of my morning run which is 3 big laps of the 5 blocks that surround my neighborhood, one lap is about a mile. I remember when I started I could barely run the one block, I had to stop and walk a few times before I could finish. (I also realized #1 that I needed the right running shoes and running gear. If you don't have the right shoes with the right support you can start to get muscle injuries and much much more). Now when the laps are done I push myself to run just a little bit more, eventually my plan is to get up to 5 miles per run and I’m not that far off. Then there's my evening workout, I do a simple cardio routine for anywhere from 10 to 15 minutes long, depending on how I feel. I always make sure to get it in well before I eat dinner, I don’t know why that is but it’s just always been my schedule so I’ve stuck with it. Remember consistancy is the key! My next cardio goal is 20 minutes, and I know if I’m determined enough that I can definitely do it as long as I stick to my guns, wear the right footwear/active gear, and let’s not forget.. "Keep my Sweat Coin active". Even if you don’t run like I do you can still use Sweat Coin because it’s counting your daily steps which you’ll be making regardless, so why not get paid for them. At the end of each day I love to look at the app and see how many steps i took. With each day that passes I push myself in simple ways like taking the stairs instead of the elevator, or parking a little further away from the entrance so I have to walk a bit more. It’s amazing how this app pushes me to be the best version of me that I can. Sign up and wallah the app does the rest, all you have to do is get those feet moving. Well I hope I didn’t bore you guys too much with my daily workout deets, I just wanted to answer one of thee most asked questions that I get. If you have any questions about me feel free to ask them below, who knows maybe I’ll answer your question next. Have a Fabulous Weekend Dolls and Remember to Treat Yo’Self!! PS…Don’t forget to check out todays Dessert Diva post on Instagram, every Saturday I post an amazing ice-cream cone shot from one of the delish ice-cream spots in my area. Don't forget to follow and turn on my notifications because I have some HUGE giveaways running as we speak and to come...right now someone has the chance to win a 4 night/5 day vacation to Maldives. 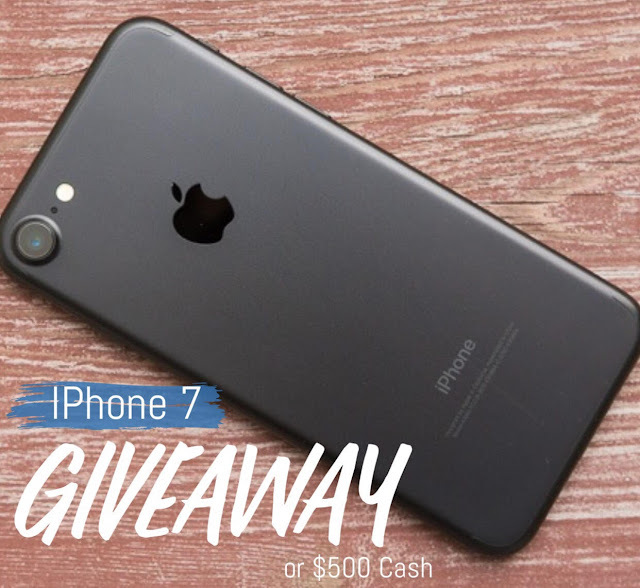 Then there are 4 other winners for stuff like an iPhone x, and lots of cash!! Love me a Good Sunday Brunch! There is a great little spot in Hampden called The Food Market, all in all it's not that far from me. I would say its about 15-20 minutes from my house in Randallstown/Owings Mills. It's one of my favorite spots, not to mention is flippin' amazing, they have thee best brunch menu EVER! Now don't get me wrong they have an amazing dinner menu as well, from Mon-Fri they don't open until 5pm, then on the weekends they open at 9am. There is a full bar and mind you the drinks are relish, i got the one above which is called Bohemian Raspberry. I like my cocktails fruity and sweet, it's just better when they go down yummy, who wants to choke down a drink that tastes utterly horrible? I want to taste and enjoy it, not force it down whilst I make a cringed up face and most liquor does that in my case unless it's cut with something sweet. Are you the same way? ?...I'd love to know in the comments. 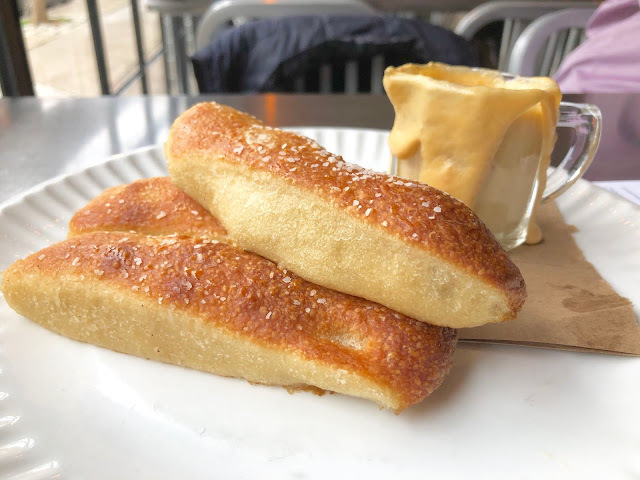 Back to the food, Rob and I started out with the soft pretzels and beer cheese, now keep in mind tis is what they're known for...and now I know why!! the pretzels where soft and buttery and the cheese was thick rich and tasty, such a perfect match. Then for the mains I ordered the Peruvian Cheesteak which is made up of fork pull short rib, smothered in cheese and lots of yummy fried onions and red peppers on a soft sub roll, topped with jalapeños and sided with fresh fries. It’s an absolute master piece that I will be going back for many times over,. Rob ordered the chicken and biscuits, which he ate every bite of mind you. We never leave The Food Market hungry or unhappy, and it seems we aren't the only ones that feel this way because they're always packed no matter what time you go in. I'll give you a tip, make a reservation or you will be waiting to get a table. After brunch we walked down to The Creamery to grab an ice cream, we decided to grab the newest flavor Baltimore In A Box...WOW was it good!! They always have amazing sweets, i love their hot chocolates as well, i like to top mine with one of their amazing homemade caramel marshmallows. You know I have a crazy sweet tooth and while I constantly say... "It's always a good time for ice-cream", it was a little insane today being it was six degrees. Let's just say it was more than cold shooting the ice-cream and omg super windy so it felt even colder. Sadly not long after this shot the wind blew the cherry right off the ice cream onto the ground, it was about then I decided enough ice cream pictures...lol!! Well I hope you guys enjoyed my Sunday brunch escapades, but done't go yet I have a surprise for you, just scroll down for more!! 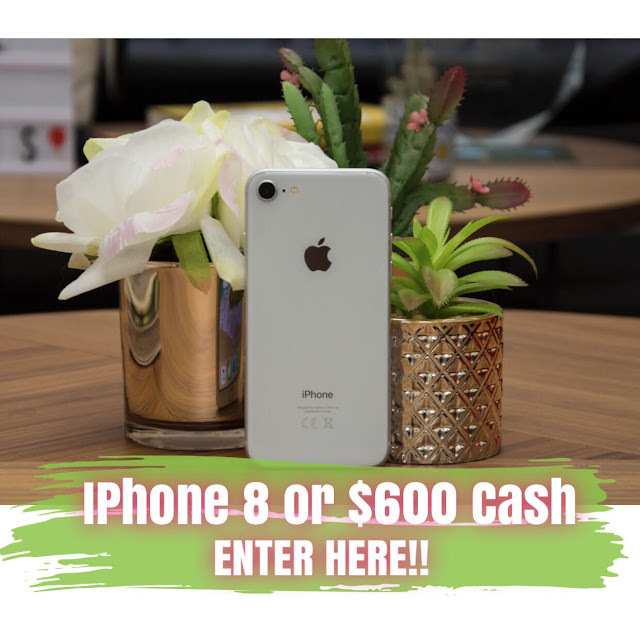 the choice of an iPhone 8 0r $600 PayPal cash! If you unsubscribe/mark the newsletters as spam you will not be eligible for future giveaways ☺️ Please remember that when you mark a blog newsletter as spam it puts a bad mark on our delivery system, and this causes us major issues to where we can't send them out anymore to anyone. Large amounts of unsubscribes also give us a bad mark, so if you truly don’t want to enter anymore of the 2 giveaways we do a month, or receive the newsletter and will just unsubscribe ☺️ or mark it as spam please DO NOT ENTER! With that being said, the giveaway will run for a month, from 1/22/19 12pm est to 2/27/19 at 12am est. To enter just click on the above rafflecopter form and complete the many different tasks to double and triple your chances of winning many times over. Terms and Conditions for the complete rules and regulations. Getting the yard ready for spring! Our Weekend Getaway to Virginia!! My Rainy Trip to NYC!! The Perfect Mother's Day Gift! !